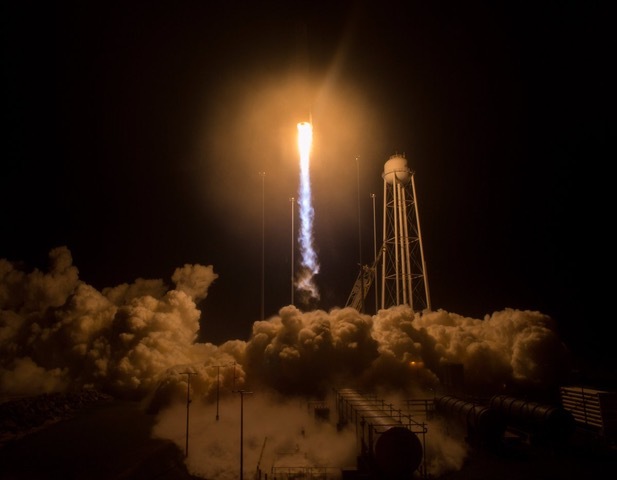 The ICE Cubes facility developed by Space Applications Services has launched on the Orbital ATK 9th cargo mission. At 10:44 CEST (08:44 GMT) OA-9 launched successfully on 21 May bringing our ICE Cubes service facility into orbit chasing now the International Space Station. The ICE Cubes service provides commercial access to any user for research or technology testing in space. The REG is a small to medium form factor rugged Gigabit Ethernet (GbE) switch system optimized for demanding size, weight and power (SWaP) constraints of embedded space computer network systems applications. The company can provide an end-to-end science and operations management service for multi-disciplinary, complex, unique, international and high value systems. VRS is a complete framework designed for cognitive and neurophysiology investigations using Virtual Reality and multimedia. The VMU is a generic COTS-based rugged video and data processor, originally developed as an upgrade for ESA’s Fluid Science Lab (FSL) on ISS Columbus, and designed to manage state-of-the-art scientific cameras and sensors. Yamcs Suite is a general Mission Control System framework. It has been developed around the criteria of flexibility and open source code to innovate. We design and develop robotic and mechatronic systems for use in space. These systems are targeted to be used by astronauts within a pressurised environment, in orbit or on planetary surfaces. The company has a complete system engineering capability for complex, multi-disciplinary and specialist systems for national and international customers. Space Applications Services ensures that client organisations, client training departments or targeted trainees achieve highly efficient, well-prepared and mission-enabling training. ASB is a platform and application agnostic solution for implementing complex processing chains over globally distributed processing and data resources. ASB provides a “low coding” solution to develop a data processing facility based on orchestrated workflows. Space Applications Services supports the operation of complex multi-disciplinary systems requiring highly qualified expert teams to integrate the data, plan and schedule the activities and ensure that safety is maintained as well as achieving the overall goals. The comany also develops the supporting tools needed for cost effective operation. The company specifies, designs and develops specialist and often unique equipment for use in space. It is familiar with bridging the gap between scientists, engineers and managers and has extensive experience with world leading scientific instrumentation. With the Sensoric Arm Master, robot arm control is intuitive, the robot arm moves as your arm moves and the operator feels the forces that the robot arm senses increasing the feeling of presence. Space Applications Services provides highly qualified and experienced personnel to prepare for, plan and execute real-time operating in control centres and facilities. The ICE Cubes Service is a simple and cost-effective way for your experiment or technology to fly onboard the International Space Station. * I have read and accepted the attached Media Data Protection Policy.